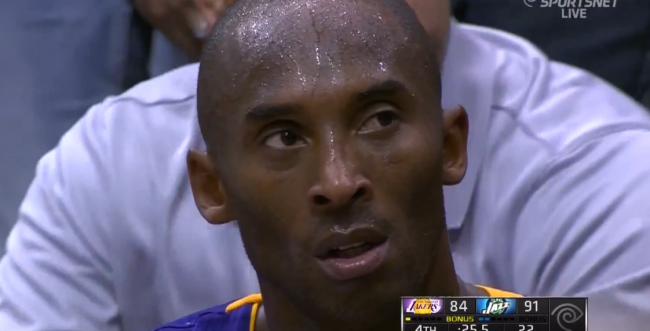 Kobe Bryant thinks he’s about to talk things over with Los Angeles Lakers Coach Mike Brown. But Mike’s not home.. Or is he? Find out in this parody of the classic Seinfeld scene. As you can see, Bryant is merely trying to let ole’ Mike Brown know he respects and loves the way he’s running this Lakers team! He hopes he stays for many days ahead! Sure, the Lakers are down 7 points in this screenshot, but what you don’t know, is that is actually the exact position they want to be. Coach Brown doesn’t what the league to know what the Lakers are capable of, better to take oh say 40 losses in a row early on. That way the league won’t know what hit them! Bryant’s enthusiasm was shining through in the moment above. Mike Brown can rest easy tonight knowing his job security remains safe and sound. Besides who can run things better than Coach Mike Brown? There’s a few coaching candidates out there, but no one as substantial with the finals loss experience Brown already has! Brown is a players coach, he’s humble, whatever that means these days, and he’s got a nifty set of glasses. It’s all you need, besides Brown is just dealing with the hand he was dealt, the Lakers need to rumble out a trade or two to get more talent. But for now Mike Brown won’t be taking any phone calls without screening them first on his answering machine, just in case ole’ Jerry Buss comes a callin’.